An interview with Dr. Ellen Peters from the Aug./Sept. issue of MAA FOCUS newsmagazine. Those of us who teach mathematics believe that the critical thinking skills gained through proficiency in mathematics has value that extends across multiple areas of our students’ lives. Research in cognitive science is beginning to provide some striking evidence that we are right. 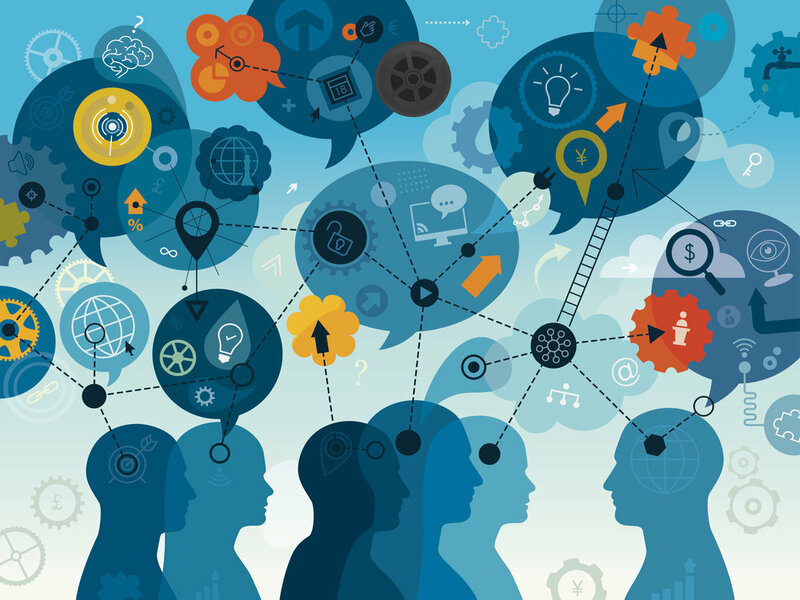 The Decision Sciences Collaborative at The Ohio State University brings together researchers from diverse fields to develop basic theory in decision making and uses it to help people improve their decisions and, ultimately, their well-being. I recently spoke to the Director of the Collaborative, Dr. Ellen Peters, to learn more about her work. In her research, Dr. Peters focuses on understanding the basic building blocks of human judgment and decision making. In recent publications, Dr. Peters and colleagues have focused on how numeric and non-numeric information are processed in decisions by individuals who differ in number ability (also called numeracy). She is also generally interested in issues of risk perception and risk communication in health, financial, and environmental contexts, including how to present information to facilitate its comprehension and use. Michael Pearson: What were your early experiences that led to your interest in numeracy, or as we in the MAA often frame it, quantitative literacy, as an element in decision-making? I was originally an engineer and loved math and mathematical modeling in classes. Although I ultimately chose psychology and the study of decision-making as a career path, numbers are really important to decisions that we make in life about our health, our finances, even our sports. As I studied the psychology, people’s understanding (and, oftentimes, lack of understanding) of numbers kept popping up as key to how they judged risks and made decisions. For example, why should someone find a cancer treatment more appealing when it’s described as having a 92% survival rate than an 8% mortality rate? That made no sense to me; they’re the same number, but I realized that not everybody transformed the number from the first format to the second (92% survival = 8% mortality). I started getting interested in how differences in people’s numeric abilities impact how they process numeric information in decisions. MP: Your research has surfaced interesting connections between numeracy and effective decision-making. What's your “elevator speech” version of the key insights you and your colleagues have made? To make good informed decisions, you first have to understand the information, and, of course, people who have fewer math skills understand less of the numeric information important to choices. But numeracy affects much more than simple comprehension. It concerns how and how much we think and reason with numbers. For example, people who have gaps in numeracy rely on concrete, easy-to-evaluate attributes when they judge and decide. They neglect base rates, denominators and other statistics that often are logically better sources of information, relying instead on concrete descriptions, narratives, and emotional reactions. The highly numerate, on the other hand, do more careful analysis. It’s not that they don’t use provided narrative information or their own emotional reactions, but they use more and more complex information. They attend to and search more for numbers. They also work more with, and think more about, numbers in decisions, presumably because they can; they “have a hammer” and therefore they use it. In a series of studies in our lab and other labs, we find that the same information exerts a different influence on judgments and decisions depending on the person’s level of numeracy. For the less numerate, misunderstanding one piece of information or making a less than careful decision once generally doesn’t matter. But doing so repeatedly over time may cause an accumulation of risks that ultimately undermines them. MP: In your work, you have particular ways to measure numeracy. Can you characterize what numeracy means? In what ways do, or can, mathematics courses contribute to our students’ numeracy? We define objective numeracy as the ability to comprehend and use probabilistic and other mathematical concepts. We often measure it with probabilistic items. For example, “Which of the following numbers represents the biggest risk of getting a disease? 1%, 10%, or 5%;” in a recent U.S. representative sample, 17% of adults answered even this very simple problem incorrectly. We have also measured numeracy, however, with arithmetic problems, for example, in a sample of rural Ghanaian adults who did not recognize probabilities. We have shown similar effects of these different kinds of numeracy items on decision problems. Based on our research so far, I do not think that particular types of math ability matter to decisions more than others (e.g., statistics, arithmetic, algebra), but I am open to being proven wrong. Instead, it seems important to have a measure that spans an appropriate range of difficulty for the population that I’m studying (easier measures for Ghanaian adults with no formal education; harder measures for business school students). So long as the appropriate difficulty level is chosen for the population I’m studying, I believe I can use arithmetic, algebra, or probabilistic items, and they should predict judgments and decisions similarly. Math courses are at the heart of this process, teaching students to pick up ever-heavier boulders of mathematical knowledge that enable them to think and reason more effectively in their own lives. MP: What are some of the decision-making situations you've examined in your research? We have looked at a variety of situations in the lab. For example, numeracy has implications for how we communicate medical risks. In one study we did, a medication decreased the number and severity of headaches, but it had one possible side effect, a bad blistering rash that covered the body. Half of the people in the study were told that 10% of patients got the rash; the other half were told that 10 out of every 100 patients got the rash. People who were good at math perceived the risk similarly in both cases. However, less numerate people perceived more risk in the frequency format (10 out of every 100 patients) than the percentage format (10%) and were less likely to take the medication. We have also found that more numerate individuals in the highlands of Peru are more likely to use condoms to protect against HIV. More numerate Americans are more financially literate, and they also have better financial outcomes, including being more likely to avoid predatory loans, save for retirement, and pay loans on time and in full. And it’s not simply that the more numerate are smarter. In each of these studies, we also controlled for other measures of general intelligence. In addition, we have experimentally increased college students’ numeracy and shown causal effects on financial literacy and health behaviors. We need much more of this experimental research, however. MP: You've also done some work on how to adjust classroom environments in statistics courses to improve student perseverance and success. What advice can you give those of us who teach mathematics that might improve the learning outcomes for our students? The concept of numeric self-efficacy is really important to persistence in learning and decisions involving numbers. It’s also related to the common finding that students are anxious about math and math classes. We’ve been testing different ways that instructors can provide cues to improve this efficacy and increase persistence with numbers. In one study, for example, we used a psychological intervention, called “values affirmation,” to help students cope and learn more in a tough statistics course. In the study, students first completed the values affirmation exercise near the beginning of the course. They were given a list of six values (including relationships with family and friends, spiritual/religious values and science/pursuit of knowledge) and asked to rank them in importance to themselves personally. Half the students affirmed their values by spending 10 to 15 minutes writing why their most important value was meaningful to them. The other half of the students, the study's control group, took their least important value and wrote about why it might be meaningful for someone else. The students repeated the exercise a second time right before their first exam. We then tested whether the intervention helped students feel better about their numeric ability (their so-called subjective numeracy in response to questions such as “How good are you at working with fractions?”) and whether it helped improve their objective numeracy (their scores on a math test we gave them). The intervention protected their subjective sense of their own numeracy (students in the control condition felt worse about their numeric abilities by the end of the semester). The intervention also improved their objective numeracy. These changes were reflected in their critical thinking skills in that students in the intervention condition completed the course with better financial literacy and healthier behaviors. We are very interested in replicating and extending this study, using this and other methods to improve numeric self-efficacy and objective numeracy.